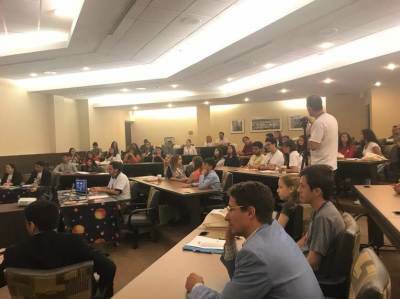 On July 7, 2018 at the Presidential Theater of the Sheraton Tysons Hotel, the First International Spiritist Youth Weekend inaugurated its works with the Spiritist United Nations Forum. 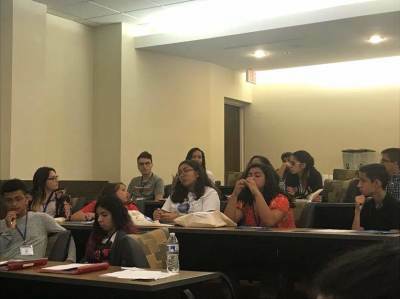 Teens (11 to 25) gathered together to discuss an agenda of issues current in today's world. Beatriz Lopes, 19, host of Kardec Radio for Teens, opened the Forum as its secretary-general. The first action of the Forum was to elect a Spirit mentor for its activity. Unanimously, the youth present elected Jesus Christ for their mentor. 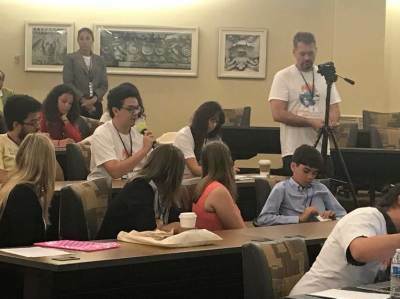 When put to a vote, the Spiritist youth present decided on three major current issues: Gender Equality, Politics and Suicide. The main points of action were summarized in the International Agreement of Action for the Spiritist Youth . Here on Planet Christ, we strive to help ourselves and others become better individuals through our knowledge of Spiritism. You were all assembled here today, at the United Nation Headquarters in Planet Christ, because you are a unique type of youth. You are Spiritist Youth, and spiritist youth have the power to change the world."